We know that as your pet gets older, their lifestyle changes, and as such so do their requirements. Although it’s easy to put the changes you see down to “old age”, sometimes there’s a reason for these behaviours. This article will go over some of the common health conditions effecting older cats and dogs, and some of the ways in which we manage them. If you think your pet may be suffering from one of these conditions, or just want them to have an “MOT” health check for peace of mind, why not call up and make an appointment to see one of our vets. 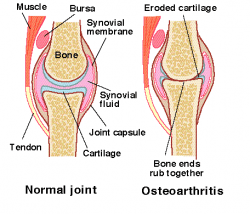 O ne of the most common problems we see in older pets is arthritis. Usually either noticed as “slowing down” on walks, or generalised “stiffness” when getting up and down, you may also notice your dog becoming reluctant to jump into the car, or your cat no longer jumping onto beds or windowsills. 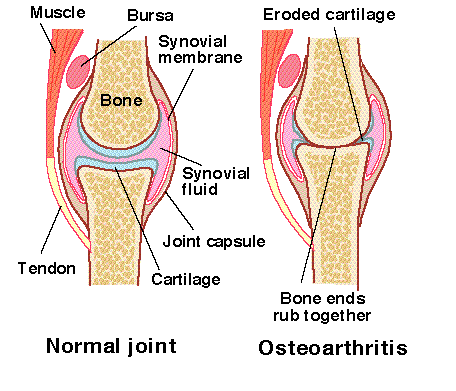 Arthritis is caused by a degeneration of the cartilage that lies over the ends of long bones. Usually this cartilage creates a nice smooth joint, but when it breaks up it leaves exposed ends of bone that creates pain and friction when the two ends rub against each other. Depending on how severe your pets’ arthritis is, we have a variety of different treatment plans that varies from non-steroidal anti-inflammatory pain relief, with or without diagnostic x-rays, laser therapy using our new class 6 laser, cartrophen injections, and additional stronger pain relief for more progressed cases. As some of you may be aware we have recently acquired a new laser at the practice. After having it on a trial basis we quickly saw t he benefits and results, and decided that it was something we wanted to be able to offer our clients long term. The laser has many benefits, including anti-inflammatory, anti-oedema (fluid swelling), pain relief, and promoting tissue healing. It causes an increased flow of oxygen and nutritive substances to damaged tissues promotes the healing process, and reduces pain by blocking nerve endings. 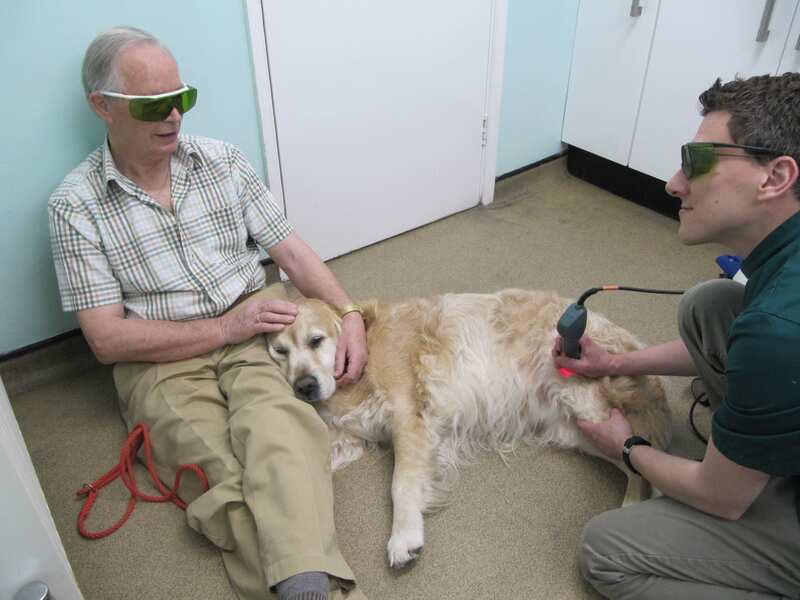 Laser therapy has proven to be highly effective at reducing pain and stiffness associates with arthritis, however this isn’t its only use; it can speed up healing of skin wounds and areas of chronic inflammation, and is also useful for more acute injuries such as muscle strain and sudden onset lameness, and can be effective at reducing swelling after routine surgeries such as neutering. We tailor the programme specifically to your pet, and may involve regular weekly to twice weekly sessions to begin with, dropping down to top up sessions as required, or a one off session after an accident or operation. CDS is an age related neurodegenerative disease, impairing learning and memory. It can be seen in up to 70% of dogs over the age of 15, but signs can start to appear from the age of 8 years old. CDS also affects cats, often from around 11 years old. Signs you might see in your older pets includes anxiety, restlessness at night, disturbed sleep, disorientation, and loss of memory for learned commands or house training. Although we can’t “treat” the condition as such, we can slow the decline in function, and provide help with some of the more difficult behavioural effects, such as disturbed sleep. 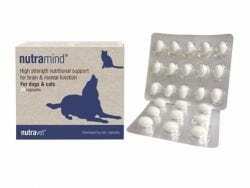 Here at the practice we stock a product called Nutramind, a nutritional support supplement specifically targeting brain health and function. Anti-oxidant defences can reduce the harm of free radicals on the brain, and omega fatty acids and B vitamins to aid ageing brains. 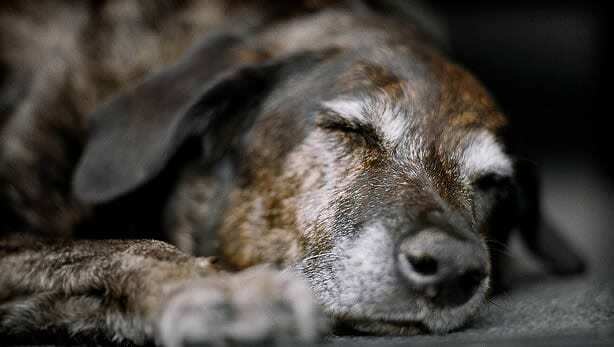 Older cats and dogs can experience an age related decline in the function of their kidneys. This is termed “chronic kidney disease”, or CKD, and is progressive and irreversible. Although we cannot reverse CKD, we can slow the progression of the disease by taking measures to lower the stress placed on the kidneys, and make your pet more comfortable. The first signs you may notice when your pet has a progressive kidney disease is that they drink a lot more and urinate more frequently than they used to. One of the primary functions of the kidney is to retain water, by concentrating urine. When the kidneys stop working as effectively, they cannot concentrate urine as well as they should, leading to larger volumes of more dilute urine (in real terms, your pet urinating more frequently / larger volumes than they used to). In order to keep themselves well hydrated, your pet will then drink more water, to replace the losses. CKD can be diagnosed with a combination of simple blood and urine tests. Once diagnosed a combination of medications and dietary changes will be put in place to aid your pet, and slow the progression of the disease. We hope this brief overview of some of the more common conditions effecting older pets has been useful to you. If you want to book your senior pet in for a general health check, a laser session, or to discuss any more specific signs you have noticed then give us a call and book an appointment with one of our vets.